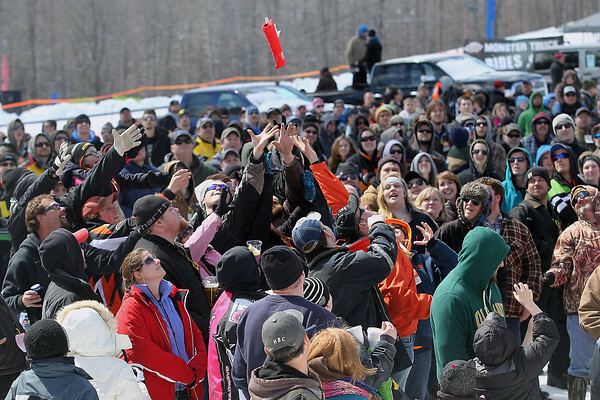 The crowd jumps for a souvenir T-shirt while competitors race during Saturday's Schuss Mountain Snow Challenge at Shanty Creek Resort in Bellaire. The event, which was started in 2009 by Griztek Auto Appearance and Offroad and Shanty Creek, features more than 200 entrants in six classes of competition running two-at-a-time up the ski slopes, and continues through Sunday. Race organizer Jason Grzesikowski said they expected to top last year's attendance of more than 8,000 people.